Click map to launch (may take a few seconds to load). Note: This data also available in Excel format. 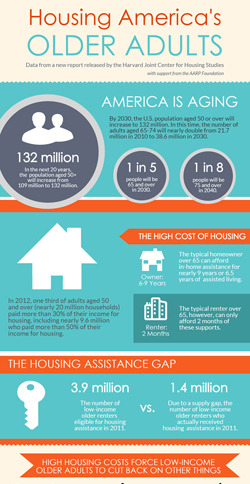 Click image below to see & share full infographic. This report was released at an event in Washington, DC on September 2, 2014. 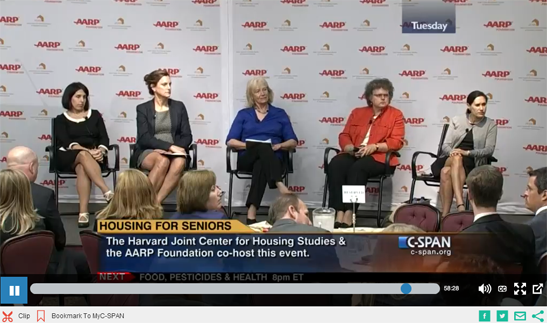 Click the images below to watch C-SPAN's video coverage. 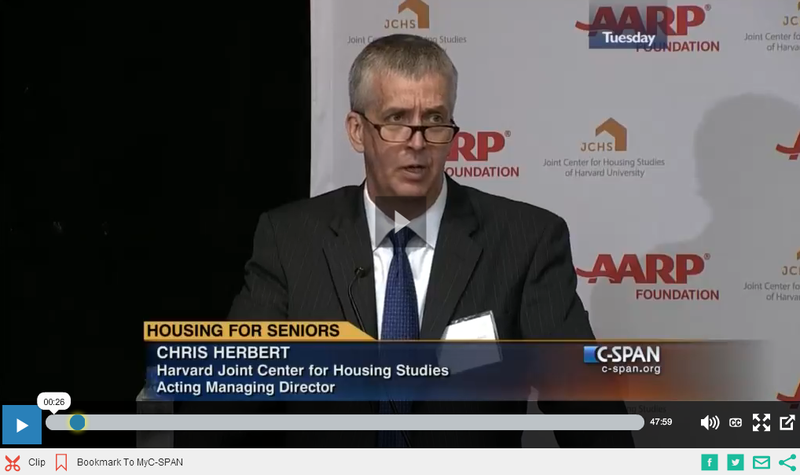 Joint Center for Housing Studies Acting Managing Director Chris Herbert's presentation of the report findings. 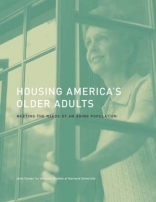 Panel discussion about Housing America's Older Adults. 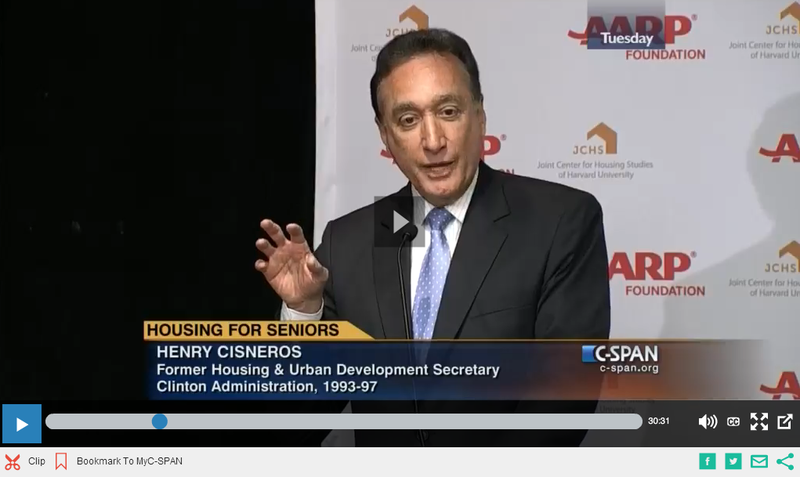 Peter Bell (National Aging in Place Council), Laura Carstensen (Stanford Center on Longevity), Henry Cisneros (CityView), Elinor Ginzler (Jewish Council for the Aging; AARP Caregiving Advisory Panel), Doris Koo (Enterprise Community Partners; AARP Foundation Board of Directors), Robert Kramer (National Investment Center for the Seniors Housing & Care Industry), Ann Norton (AARP National Policy Council), Barbara O'Connor (Move Inc.), Nan Roman (National Alliance to End Homelessness), David Schless (America’s Seniors Housing Association), William Sparling (AARP National Policy Council), Deborah Wahl (PulteGroup).